A quick look on Wikipedia will tell you that The Kojiki is an ancient text which dates back to the early 8th century, and explains the origins of Japan in the form of several myths. Songs and poems, included within, feature tales of powerful emperors and even more powerful gods. 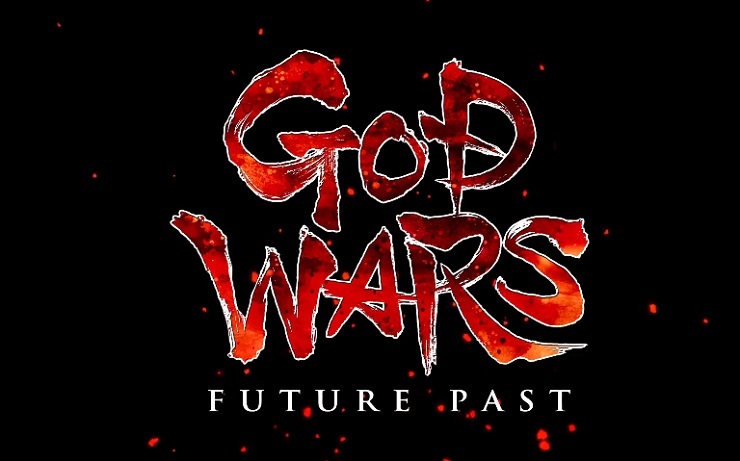 “That sounds like a great basis for a game!” you might be thinking, and Kadokawa Games thought so too, hence their development of God Wars: Future Past. God Wars takes that ancient Japanese setting and tells the tale of a land where gods and humans live side by side. That is, until the humans go to war with each other and begin destroying the land in pursuit of metal from which to make weapons and armour. Naturally, this upsets the gods and turns them hostile so the sacrifice of princess Sakuya is deemed necessary to calm their fury. Years later, you take control of that princess’s younger sister and a merry band of warriors who set off to locate her now absent mother. The story is told well through a combination of anime-style cutscenes, animated comic strips that pop in and out of view and in-engine scenes using the same cutesy chibi representations of each character that appear during battles. Impressively, all of these are also nicely voice acted, giving each hero a unique personality that you’ll get to know throughout the campaign. 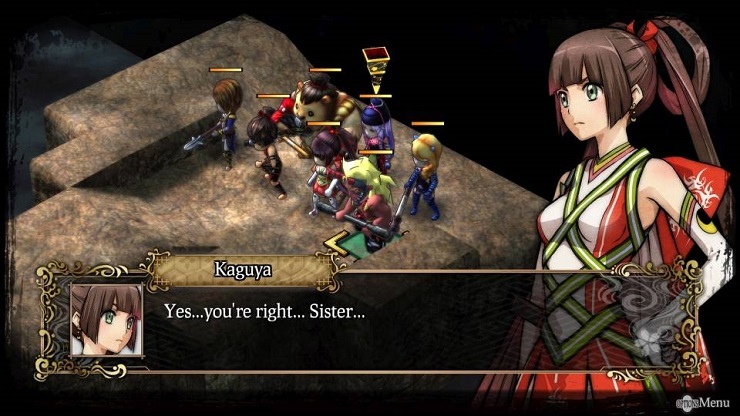 This story is the main draw of God Wars with its gameplay being fairly basic, but that’s not to say that it isn’t enjoyable. As our hero, Kaguya and her allies travel across the land of Mizuho. She’ll not only encounter new allies to fight alongside, but a host of enemies, both human and otherwise, who’ll try to block her progress and must be defeated in turn-based battles. After placing your heroes at the battle’s opening, each turn sees you and the AI moving each of your troops across the grid-based map, with the order decided by each unit’s speed rating, to try and outmaneuver and defeat the opposing team. Occasionally the game throws a different win condition at you, i.e. kill the enemy leader or defend an ally, but ultimately these also boil down to killing all the opponents. I’d also recommend utilising the quick save option during battle to backup your progress, in case the tides turn against you later, as the main story battles can become rather lengthy so having to replay one from scratch is very frustrating. Running straight into fights isn’t going to net you much progress here, as God Wars is all about battle tactics. Attacking from behind, to the side or from higher terrain than the enemy will grant bonuses to both the attack power and accuracy of the strike, so gaining position over the opposing units becomes essential to winning. Each unit also has a batch of special skills to use in battle which can damage or debuff opponents as well as heal and buff teammates but all of which have an associated cost to the slowly regenerating MP bar. Do you use less effective skills more often or save up MP for more powerful ones later? That’s a decision you’ll have to make constantly throughout the lengthy campaign. Outside of story missions, there are only a smattering of shrine battles to participate in, which occur on maps you’ve already beaten, but with a new scenario i.e. defeat a pack of wolves or rescue x person from y enemies. But these tend to be smaller in scale and thus more brief, mainly to be used for grinding levels as they provide little variety to the main quest and lack the draw of its driving story. You’ll also have to spend a great deal of time customising your heroes between fights as each character can have a total of three swappable job classes: a main one that determines the armour and weapons available to them, a sub class that grants additional skills and a unique job that cannot be changed. Each of those then has an associated set of skills and experience, only applicable when that job is equipped, that can be used to upgrade and unlock new skills. Add all that to the customisable equipment loadout of each hero and there’s a lot of prep work to do to keep your team at their best before a fight. 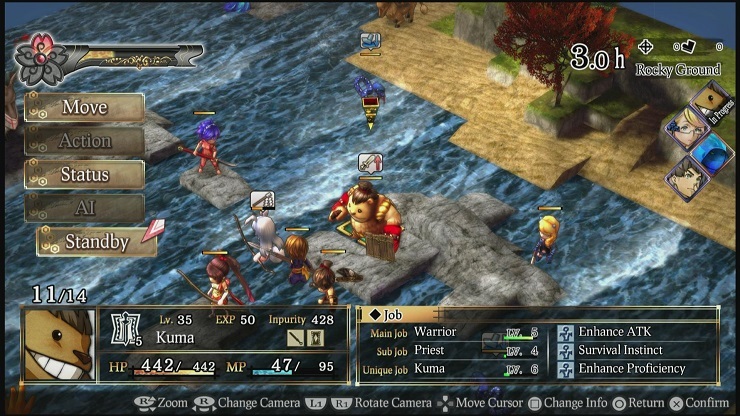 The simplistic visuals and fairly basic strategy gameplay of God Wars: Future Past are clearly designed primarily with the Vita version in mind, and would work better on the portable system, but the experience translates reasonably well to the home console, particularly if Japanese folklore-based stories and heavy character customisation are up your alley.